Do You Have A Continuity Plan? As competition increases, and the price of clicks rise, webmasters are looking at various back-end strategies in order to get the most out of their PPC spend. Continuity programs are a great way to increase the value of each customer, giving you more margin to operate with when you bid. A continuity program involves the establishment of an ongoing relationship with your customers that extends beyond the original transaction. If you sell one item to a customer who arrived via PPC, but never hear from them again, then that’s an expensive way to do direct marketing. A continuity plan keeps that customer coming back. Generally speaking, you aim to create a relationship or environment to support the invitation “come again”. You craft your offer so that you receive implicit or explicit permission to do so from the customer. Let’s look at four continuity plan ideas. Give the the buyer an option to sign up to a buyers club at time of purchase. This need not involve an extra cost for the buyer, but gives you permission to contact them in future with special offers, discounts, or other club member benefits. Framed in the right way, it may be perceived by the buyer as a bonus i.e. “Membership of our discount club usually costs $x, however you get free membership with your purchase”. It is possible to charge a fee for this, of course, however if you do so, it’s a good idea to build in benefits they can’t get anywhere else. The web makes it easy to shop elsewhere – at the click of a mouse – so buyers will be wary of being locked-in unless that lock-in enables them to get something they can’t get elsewhere. We typically associate subscription with magazines and publications. A magazine is a form of information/entertainment, sold in installments, over a period of time. “Pay-as-you go” is a twist on the subscription model. For example, you could sell buyers a fitness machine once, or you could sell them an “on-going fitness solution”. They are one in the same thing, but the latter notion involves learning more about the customer, and predicting that they’ll want a variety of machines over a period of time i.e. they’ll always likely have a fitness problem in need of a solution. When the pay-as-you go period ends, be sure to have another offer ready to go. The customer is asked to participate in an on-going sales plan. Examples included encyclopedias, record clubs, etc. Less common these days, as customers like to be in control, however if you sell an item that wears out in a given time period, then your customer may appreciate being sent a new one at regular intervals, so they don’t need to bother with re-ordering. Auto-renewing subscriptions are a twist on this form. Offer a one-off, custom service, linked into ongoing consumption of your product offering. For example, a weight loss supplement manufacturer offered a service whereby the customer sent in a current photo, and details of their weight loss objectives. The company did some digital manipulation and provided an “after” photo. The customer was then offered a custom plan, consisting of automatic shipment of the company’s weight loss products. Once you arrive at a lifetime value of a repeat customer, you can not only bid higher to land them in the first place – perhaps running loss-leaders – but you can also reframe your offer against those of your competitors. For example, your competitors may be advertising the total cost of the fitness machines, whereas you could take a more enticing angle, such as “new fitness machines, for life, for only $1 a day!”. PPC clients are always complaining about the high cost of PPC however they generally overlook this aspect of ‘capturing’ customers. As mentioned above continuing to sell to existing customers via PPC only is an increasingly expensive way to achieve sales. 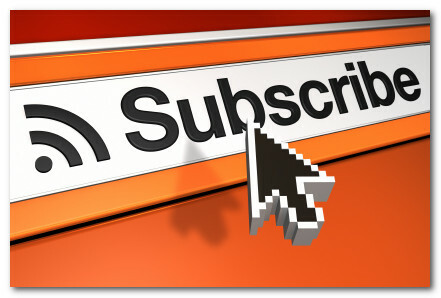 We like to use email followup campaigns providing valuable information and quality info-products.